Brings sustainable ancient, indigenous, and traditional gardening techniques, history, and mythology to modern permaculture. 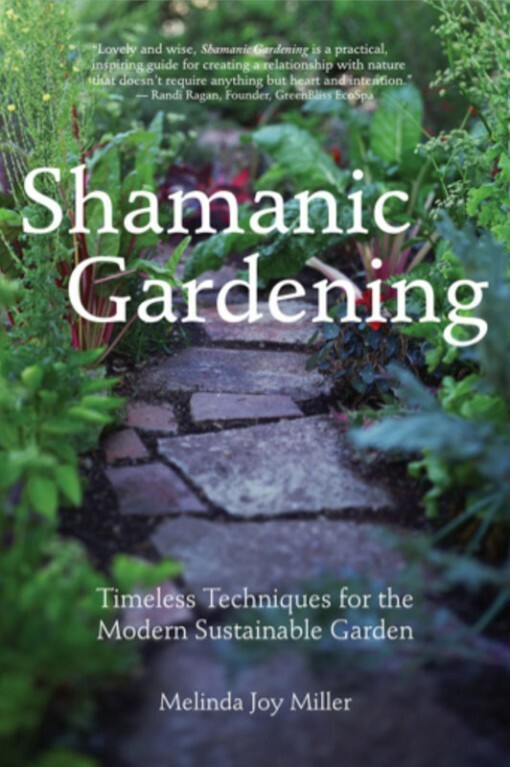 Shamanic Gardening contains a cultural history of sustainable gardening, including techniques used by Cleopatra, the Japanese, The Pueblo Indians, George Washington, Thomas Jefferson, and many others. Learn to design an elegant, edible, sustainable landscape, grow healing herbs, extract flower essences, grow aphrodisiacs, and plant for nutrition and beauty. Includes shamanic principles to garden with more awareness and effectiveness, using your inner senses, working with earth energies, color, flower essences, etc. Melinda Joy Miller is a feng shui master, cultural anthropologist, integrative therapist, medicine woman and Keeper of the Medicine Wheel of Peace teachings of the Senecas. She has been practicing and teaching permaculture methods for over thirty years.